John has been with Strom Companies for over 30 years. 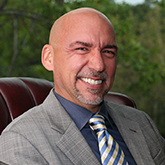 He determines the strategic direction of the company and has been actively involved with the executive planning, operational implementation, and management of many potential and actual strikes for hundreds of clients. 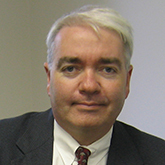 In 1991, John was instrumental in developing a new line of services with a dramatic shift into the support of clients experiencing and preparing for labor disputes. This development helped Strom expand into a holistic project management and consultation service, making Strom a respected leader in labor dispute business continuity planning, as well as temporary workforce placement and management. Jim has been with Strom Companies for over 15 years. He is responsible for all the activities within all divisions of Strom. Since 2004, Jim has had direct client and project responsibility over an array of assessments, deployments, and consulting projects in the areas of manufacturing, warehouse, logistics, chemical manufacturing, government, quasi-government, education, health care services, utilities, mining, and heavy industries. Jim and his team have managed hundreds of successful studies, projects, and deployments. Jim is also a member of the Strom Board of Directors. 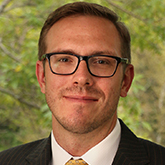 With Strom since 2005, Ryan oversees the strategic planning, scope definition, and cost analysis of projects. Over 15 years experience in labor contingency planning working with 100+ clients has given Ryan considerable insight into planning, negotiation, and communication strategies. 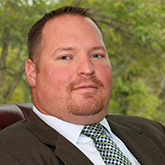 Jason has been with Strom Companies for over 20 years and was promoted to Vice President in 2006. Jason leads the Field Operations team, which is responsible for all “on the ground” contact with clients. He has led the assessment portion of studies and projects for nearly 500 clients and, with his array of engineering and client-specific experiences, there is little Jason has not seen during an assessment. Vicki's professional background is in the travel industry. Currently she is the Travel Manager and Travel Agent, as well as an Executive Assistant and Office Manager. 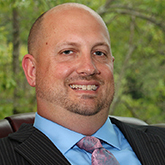 Tim is a CPA and has been with Strom Companies for over 25 years, serving as the business’s internal counsel. 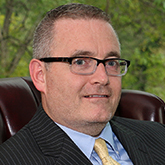 Tim is responsible for all financial reporting and legal oversight for all Strom companies. Gary has been with Strom Companies for over 10 years, and previously served in the Navy. As the National Director of Safety and Compliance, Gary is involved onsite and behind the scenes of every assessment and labor study. He analyzes individual tasks with an eye on safety and training, and is responsible for assuring the proper licensing, drug testing, background checking, and related items for all field employees who work on our clients’ sites. Gary and his team are responsible for developing and delivering the right training to employees who work for our clients who utilize our contract engineering services and managed workforces. Shannon has been with Strom Companies since 2007, and is responsible for the leadership of sales team, sales growth and client relations. Working with clients and understanding their needs, whether it is for potential labor strife, attrition issues or providing quality skilled temporary labor to complete operational goals.